As Time magazine pointed out in April, and people living and travelling in Bali over the past few years know only too well, the island is a ticking environmental time bomb. Want to travel to Bali but not be part of the problem? We’ve written elsewhere about how to travel green in Southeast Asia, but here’s how to make your impact lighter in Bali. 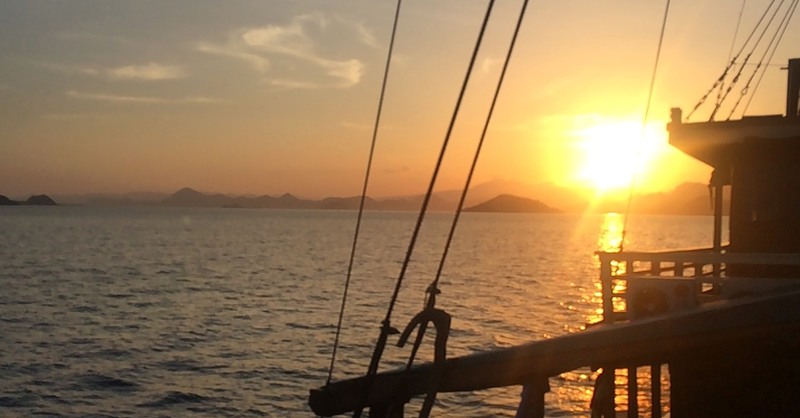 Slow down enough to enjoy dawn at Pemuteran. Travel less, see more. You’ve likely already burned a load of fuel in getting to Bali, so chill out once you are here. Settle into one spot and savour it. Walk. Cycle. Chat. There really can be a lot happening in what may seem like quiet places at first. You can easily while away a few weeks just relaxing around Ubud, Pemuteran or Nusa Lembongan, for example. Travel to off-the-beaten path places (and then linger — see above). Don’t add to the congestion that already exists in places like Kuta and Seminyak. Plan in advance and check out some of the quieter locations that don’t see much traffic: a beach on the Bukit, a quiet spot in the mountains or somewhere riverside with a view. May have the wrong light bulbs, but not a private pool villa in site here in Munduk. There’s not really any effective environmental certification system in Bali (or elsewhere in Southeast Asia) so use your own noggin instead when it comes to choosing a green place to stay. It’s really only some higher end places that have deliberate green philosophies, such as Desa Seni or Fivelements. Budget places may not be deliberately green and may engage in some non-green practices, but often their overall impact may be lower than your average larger, pricier hotel. Enjoy low impact activities. Forget about parasailing or banana boat riding in Nusa Dua. Go for a herb walk, do a spot of bird-watching, a cycling trip, or yoga. Swing in a hammock and read a book. Come to Bali for a meditation retreat, or the Ubud Writers and Readers Festival. Don’t eat seafood, unless you educate yourself about what fish are still swimming around in sustainable numbers: over-fishing in Bali is a major issue — a lot of fish at Jimbaran fish markets has actually come from Java and driven in by pickup. 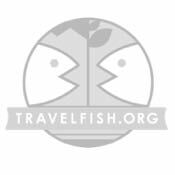 This site can help, though the names of the fish may be different locally. Eschew imported items. Forget about eating Australian imported steak and wine — go for the local organic chicken with rice and a glass of Hatten or Bintang instead. They grow it, you eat it. Sideman. You may not be allowed to have a say in how Indonesia is governed and policy-making, but you can choose where to spend your money. Spend on businesses that make an effort to stay green. Eat at organic restaurants, such as Kafe or Manik Organik, and get your washing done at organic laundries, which are starting to pop up (so far we’ve seen them in Ubud and Sanur). Don’t be horrified at the thought of staying in a cold-water, fan-cooled room — if you’re staying beachside during parts of the year, you may not even need the fan. Use as little water as possible. A lot of Bali’s water supply is ground water, and it’s diminishing quickly. Have short showers, not baths. Water run off may go directly into the ocean or waterways in Bali, so don’t add to the problem of problem by using non-biodegradable products — use organic soaps, shampoos and conditioners. And of course, as goes for anywhere, don’t get your bed linen and towel changed daily. It’s obvious that you shouldn’t litter, but go the extra yards and make a small effort to pick up litter. You’ll clean up a little, and hopefully guilt others — both travellers and locals — into doing the same. Don’t accept plastic bags when you’re shopping and don’t buy plastic bottles. Go for a snorkel somewhere like Pemuteran or Menjangan island and you’ll see why (it follows that these are good spots to do a mini-cleanup). Bring a few reusable bags and a reusable drinking bottle instead — you can refill at a lot of cafes.